In 1891 the first horse-drawn tram moved out of market square and soon connected to such ‘far-flung’ suburbs of Belgravia (via Jeppestown), Fordsburg and Doornfontein to the growing town. In 1897, Jeppestown was described as having ‘the most amenities and the best area’ and ‘a neat little suburb on the outskirts of town proper’. Besides the horse trams and later in 1906 the electric trams, the other early benefit was that the government bought some of the land from Jeppe for a railway (the early Rand Tram) to pass through. He agreed on condition there was a station and that every train that passed through had to stop. This was advantageous in that a business hub grew around the station as well as being very convenient for the suburb’s residents. This hub is probably responsible for the survival of so many buildings in the area. 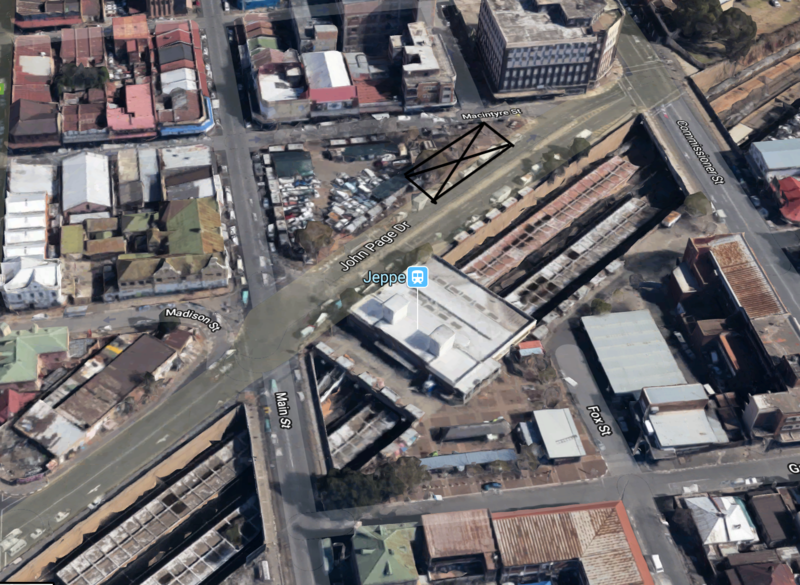 John Page Drive was built over the original street level railway tracks when Jeppe station was rebuilt and the new tracks dropped below street level in the major construction between 1937 and 1939. Page was Mayor from 1938-39. 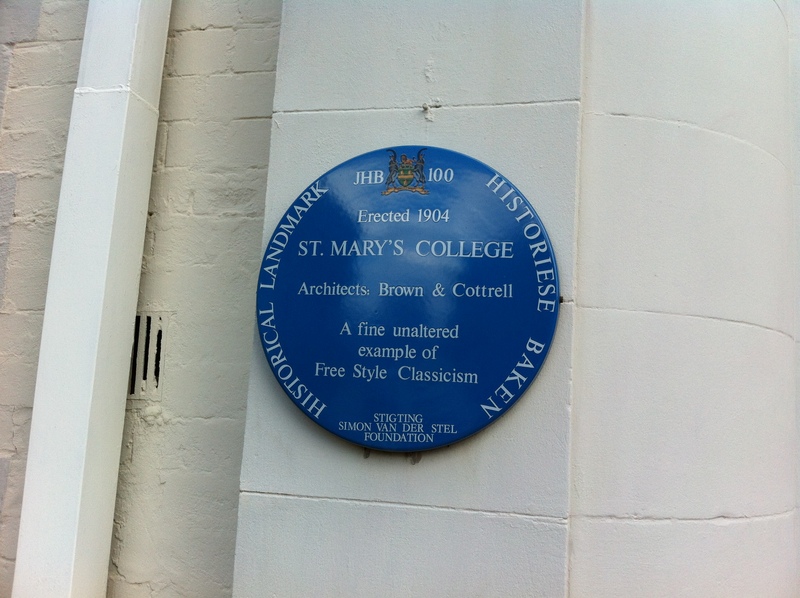 The first St. Mary’s school, established by Rev. J. Darragh in 1888 was in Park Street adjacent to where St. Mary-the-less is now. It was headed by Miss Mary Ross who married the Reverend on 10 September 1889. 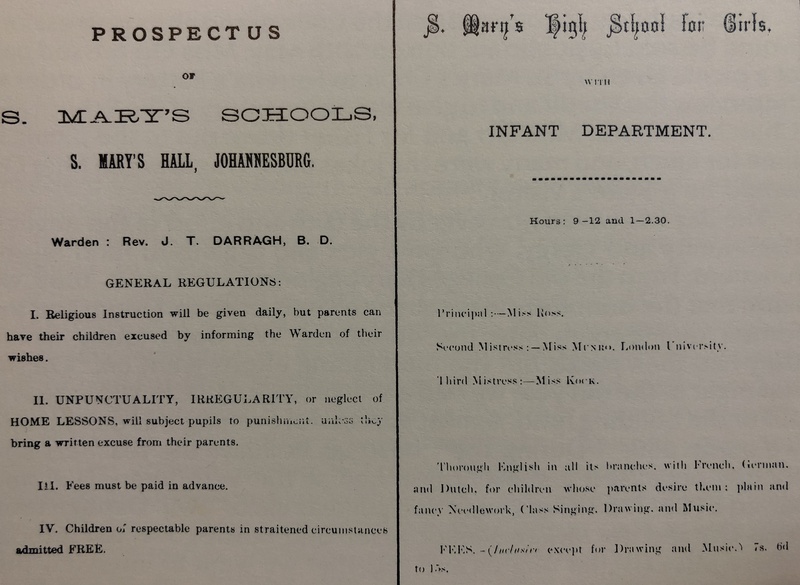 Directly after the wedding and in the presence of 800 guests, the new Mrs. Darragh laid the foundation stone of St. Mary-the-less which today is Johannesburg’s oldest building. Mrs. Holmes-Orr took over the school in 1889. By 1890 the school has 58 pupils but was struggling financially. Through some extraordinary fundraising, the school was saved. 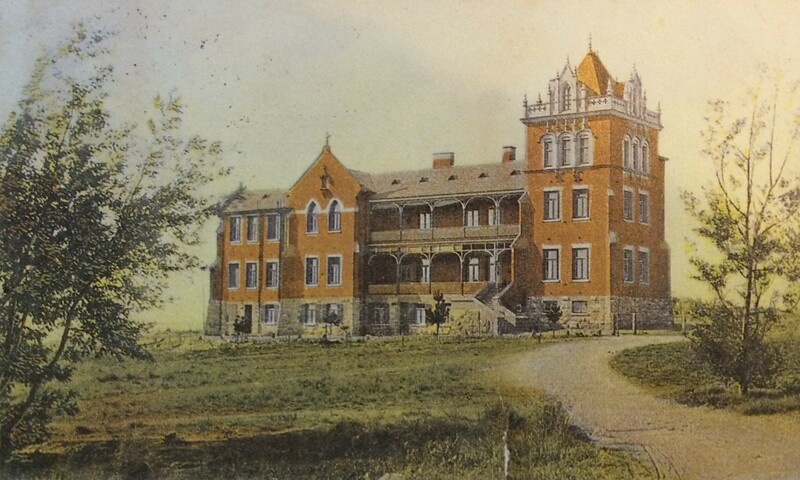 In 1893, Holmes-Orr bought the school. The children were sent away for the duration of the Boer war and the school was damaged by a nearby factory explosion. After the war, expansion plans for the railway line running through Jeppestown effected the school. The site was expropriated and appropriate compensation paid. Holmes-Orr, with an additional loan from her brother-in-law, built a new school on the corner of Berg and Marshall Street. It was designed by Mr. St. J. Cottrill of Messrs. Brown & Cottrill. The foundation stone was laid by Archdeacon Furse in November 1903 and the building completed in 1904. It’s a good example of Free Style Classicism and Collegiate Gothic style that was popular for school buildings in Victorian times. 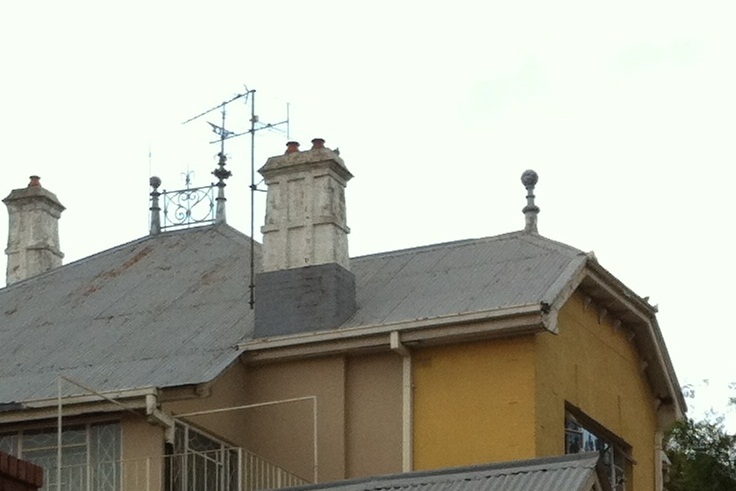 It originally had red brick walls as pictured above. 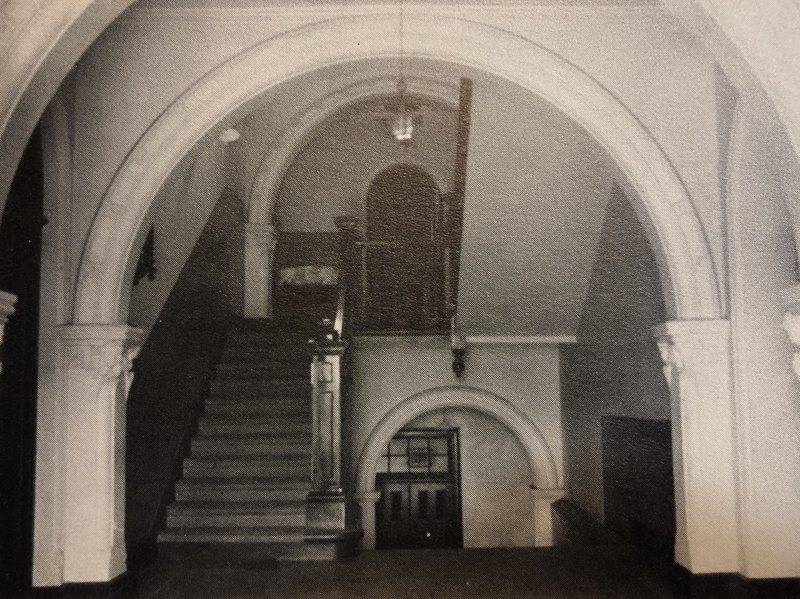 There was a basement level and above that seven classrooms, Miss Holmes-Orr’s office, the kitchen, dining room, and a small library. The first floor consisted of the dormitories and the top floor was an attic. 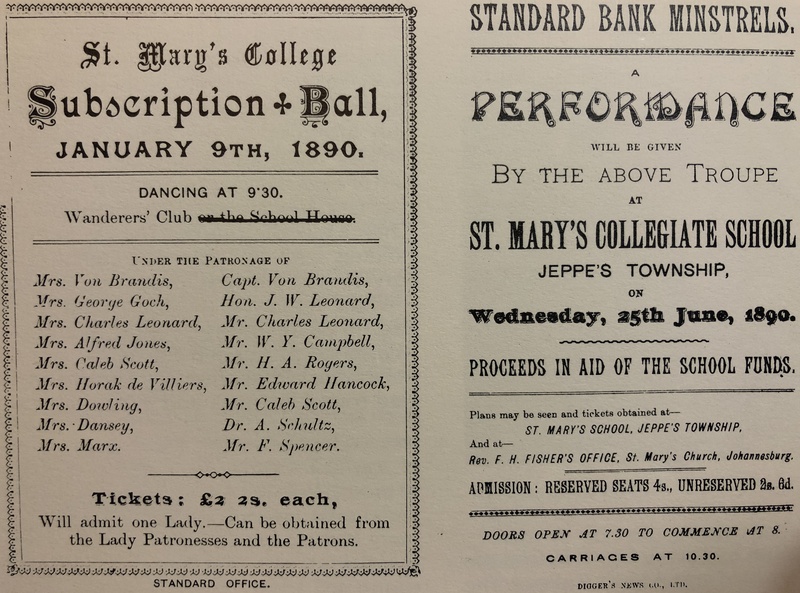 In the 1920s, the school faced dwindling pupils and more financial woes. In 1923, with only 13 pupils remaining, it was taken over by the Sisters of St. Margaret from East Grinstead, putting it under the patronage of the Anglican Diocese (something Holmes-Orr tried unsuccessfully to do a few years prior, but was denied as her debt was to heavy. She retired in 1924). In 1929 Miss Evelyn Beatrix Darke became the new headmistress. 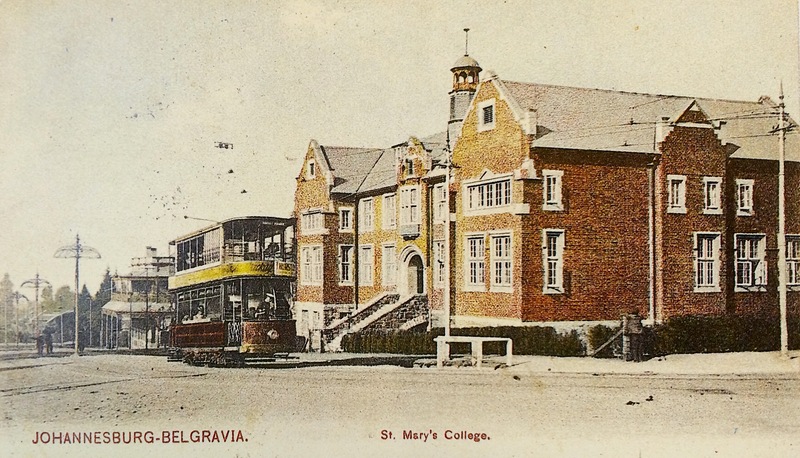 The school sold the building in 1933 and moved to the current St. Mary’s in Waverley in 1935. 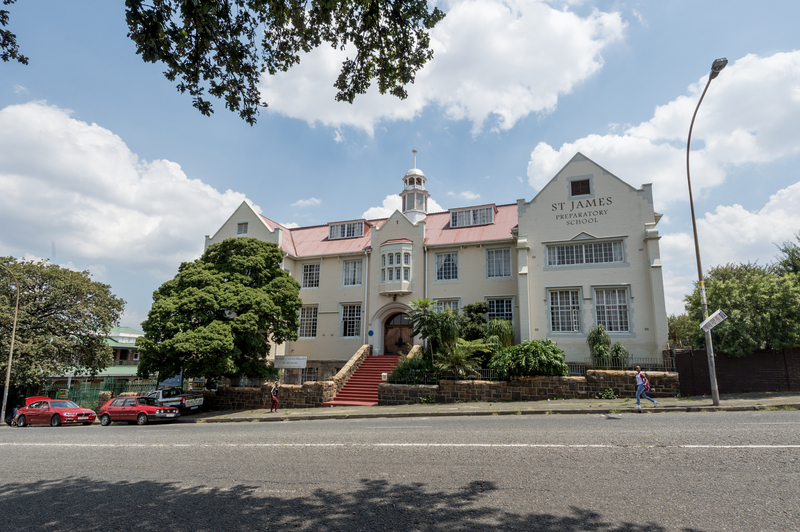 The old St. Mary’s building is now home to St. James Preparatory School. Salisbury House, a Victorian design with Edwardian overtones, built in 1903 for Mr P. Chat, was originally called Bern’s Building. The ground floor originally had three open plan shops with window frontage. The first floor consisted of living quarters with separate entrances and a common balcony. Mr. Anderson, a chemist, bought it in 1908 and renamed it Salisbury House after a teacher, Miss Kate Salisbury from across the road at St. Mary’s Diocesan School. She soon became Mrs. Anderson. 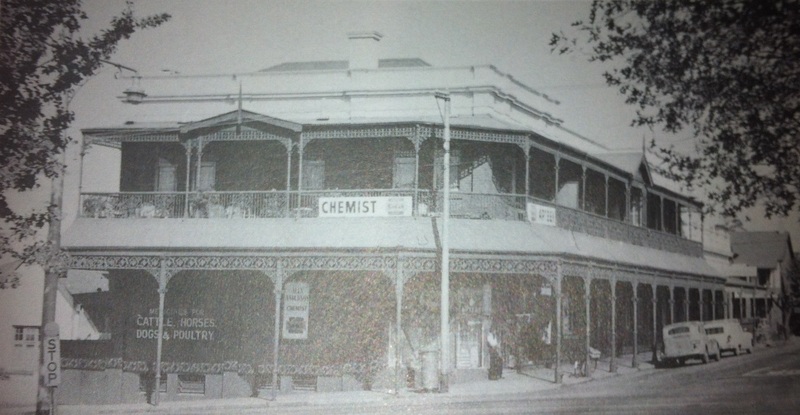 The chemist survived until the 1970s. 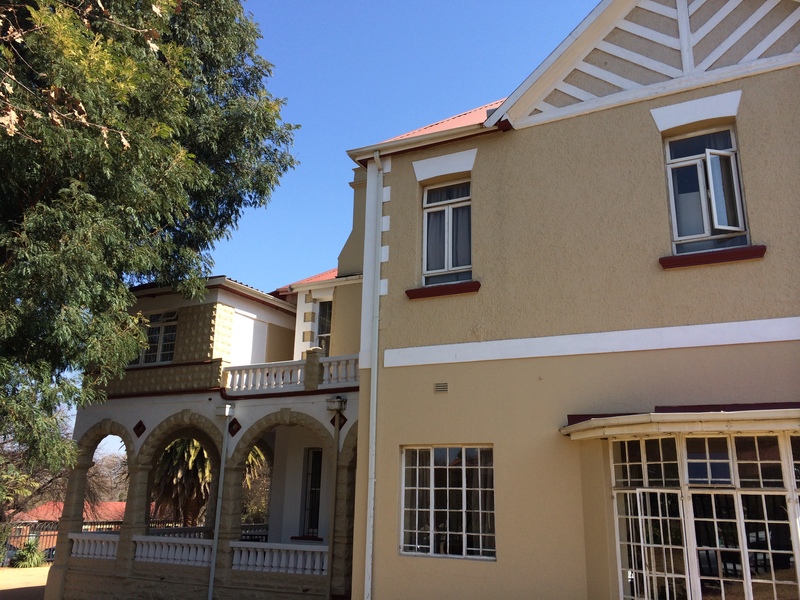 The building has been used in two South African films: ‘The Foster Gang’ and ‘The Cavaliers’. In 2006, the building was renovated and is now used by the School of Practical Philosophy. Salisbury House from 2012 with a collapsed balcony after a car accident. 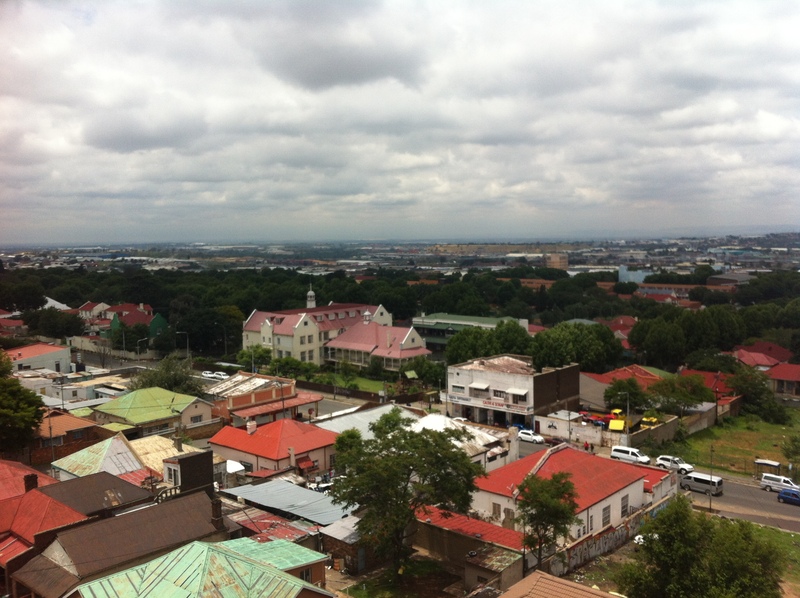 Rathmines was the home of Irish architect John Francis Beardwood who came to Johannesburg via California in 1895. He designed Parktown Convent on Oxford Road and Nazareth Home in Yeoville. 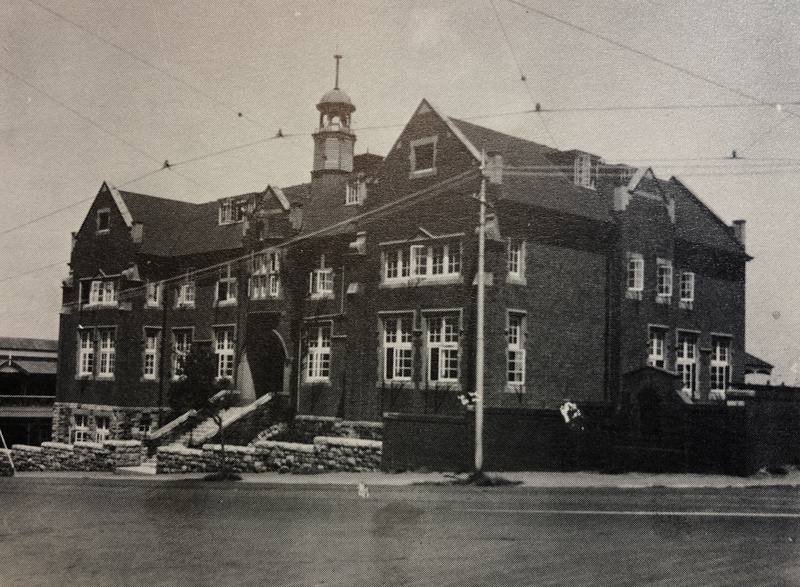 He also worked on additions to Kensington Sanatorium (now clinic) and St. Mary’s College. In 2014 I came across a collection of old plans and found that Beardwood was also listed as architect for St. Agnes Mansions in Plein Street as well as Patlansky’s Corner on the corner of Joubert & Jeppe Street. 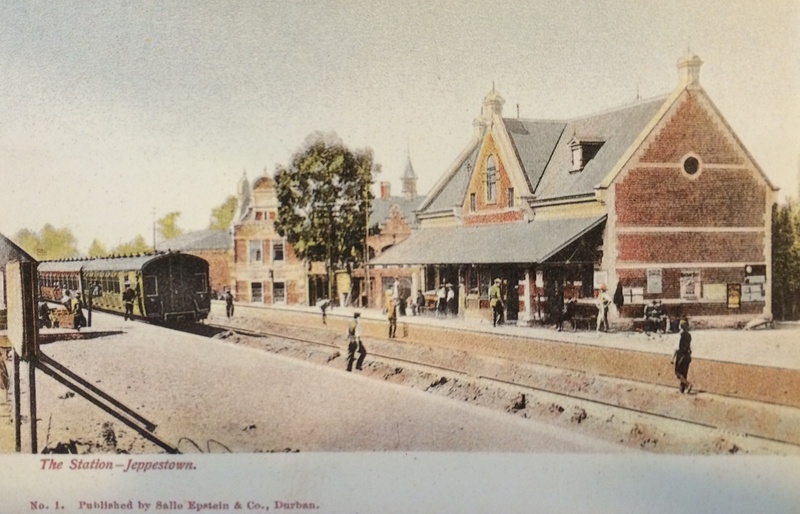 Built in 1903, ‘Rathmines’ was named after the suburb in Dublin where he and his family lived. 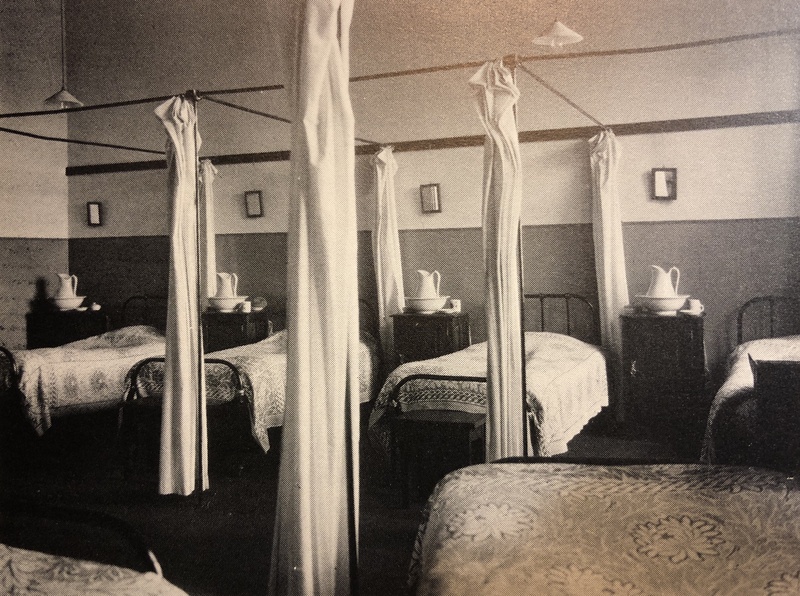 The Beardwood designed Kensington Sanatorium was just over the hill from his home and founded in 1905 by the Sisters of the Holy Family. Still stands today although it has been added to over the years. 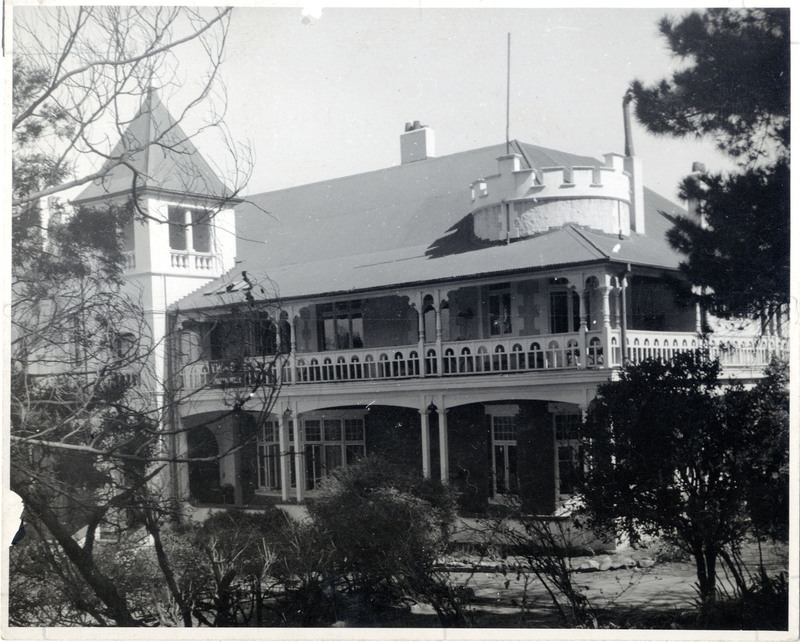 Built in 1903 by builders Arbarren & Freely it was originally called Villa Belgravia and owned by Charles Marx who was chairman of the Johannesburg Turf Club. In 1920 it was bought bt Mr. Errol Hickman who renamed it Thabana House and ran it as a residential hotel. In 1947 it was taken over by the YMCA. 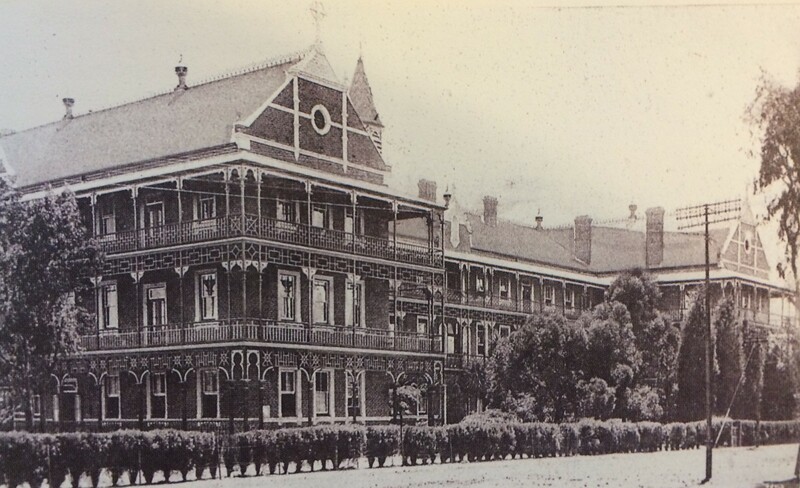 In 1956, Mr L. S. Jones bought the property and restored it (it had deteriorated so badly that Jones had to access it from a broken window) to become a private hostel for Jeppe Boys. 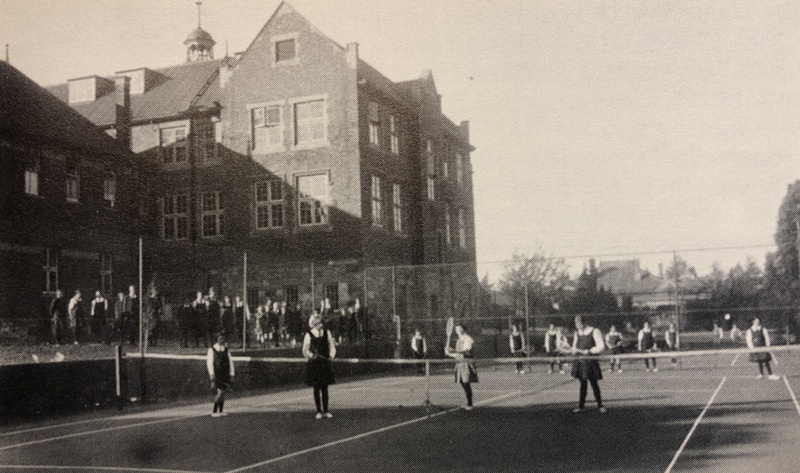 By 1958, boarders increased enough enough for it to become a ‘school house’, and has since been known as Sable House. 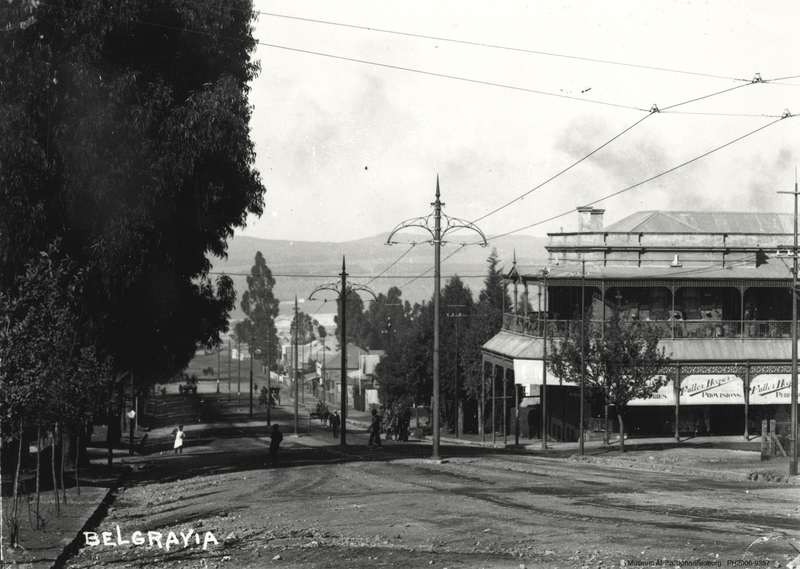 Belgravia, like Doornfontein, would later see a mass exodus of the wealthy as they moved north to Parktown. 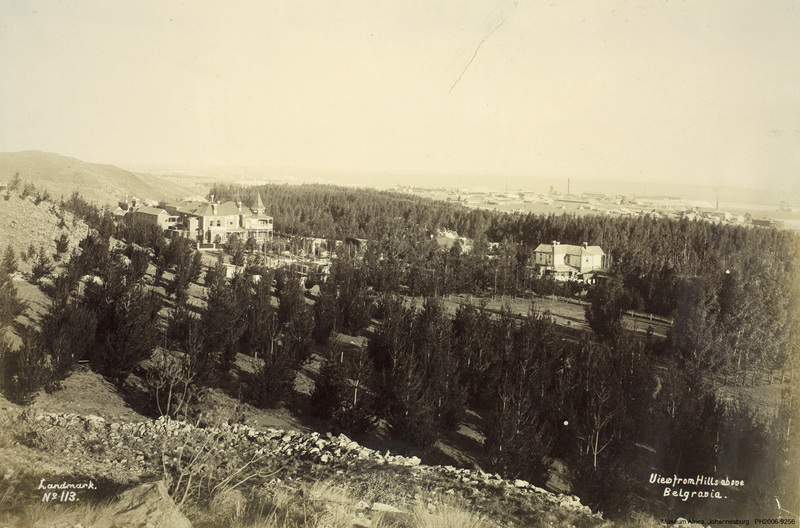 Many of the large mansions were demolished and large stands subdivided to make way for smaller houses to accommodate the burgeoning middle classes. 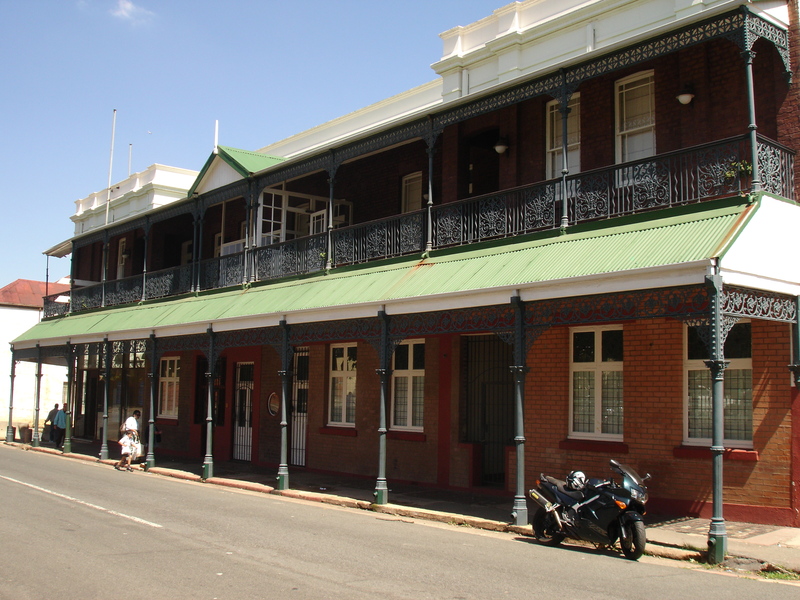 Although Belgravia is still a residential suburb today, Jeppe is a mixture of commercial and industrial. Very few (if any) of the original houses west of the railway survive. Many houses became blocks of small flats – some of which still survive, while others became buildings, factories or shops – many of which still stand. Other areas close by like Troyeville and Bertrams were also attractive to the working middle class, who during the boom years, started looking for houses for their families. The poorer whites flocked to western suburbs like Fordsburg, Burgersdorp, Vrededorp and Brickfields (Newtown). The even poorer black working class lived in mine compounds, locations near Vrededorp or simply in the veld in derelict buildings or abandoned claims. The Star. 5 February 1972. 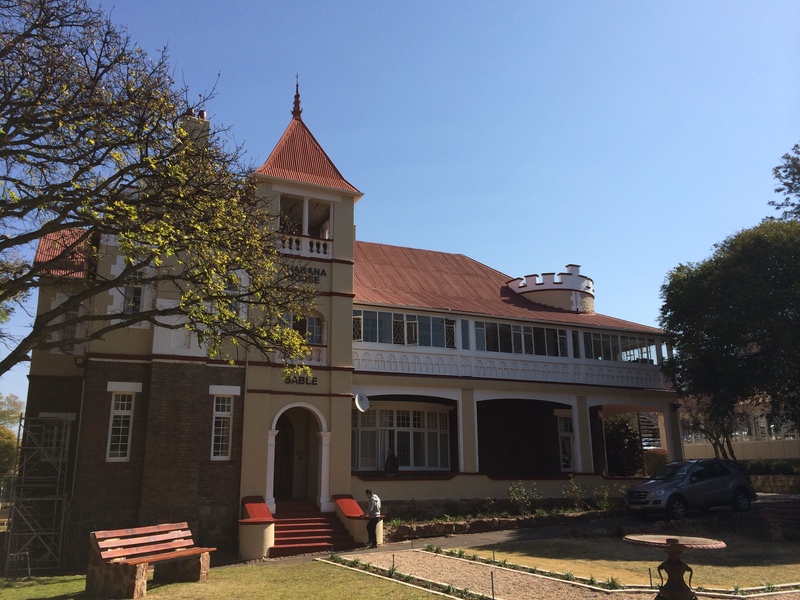 ‘Historic homestead is now a school hostel’ by Denis Godfrey. Beardwood corrections and info supplied by C. J. Beardwood, grandson of J. F. Beardwood. 16 Feb	This entry was published on February 16, 2013 at 7:19 pm. It’s filed under Johannesburg and tagged Archdeacon Furse, Belgravia, Berg Street, Friedenheim, Grand Station Hotel, Holmes-Orr, J Cotterill, Jeppe Station, Jeppestown, JF Beardwood, Marshall Street, Rathmines, Salisbury House, St. Mary's College, St. Mary-the-less Church, Thabana House. Bookmark the permalink. Follow any comments here with the RSS feed for this post. Newer: This blog is now LIVE! Hi Marc, I came across your site on my mobile. Fantastic! This brings back many memories to a man raised in Fairview and Belgravia. I now reside in Stilbaai, Western Cape, and last visited my old stomping grounds in 1998. My late dad was a trades-man, and we moved to Fairview/Jeppe in 1951 from Rosettenville. 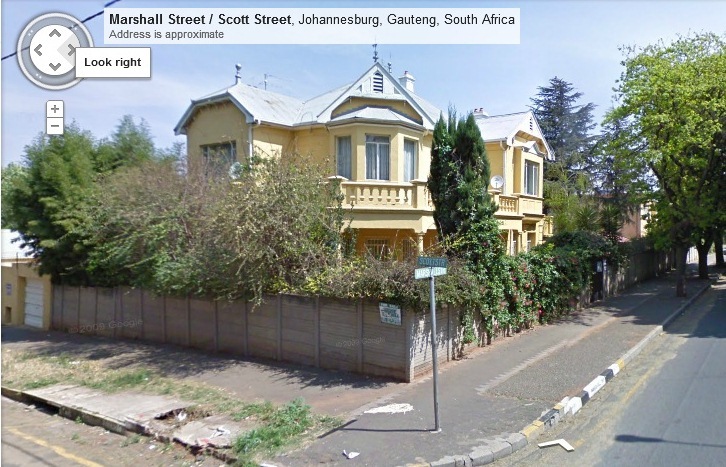 We lived at 66a Janie Street, around the corner from the Jeppe Post Office. 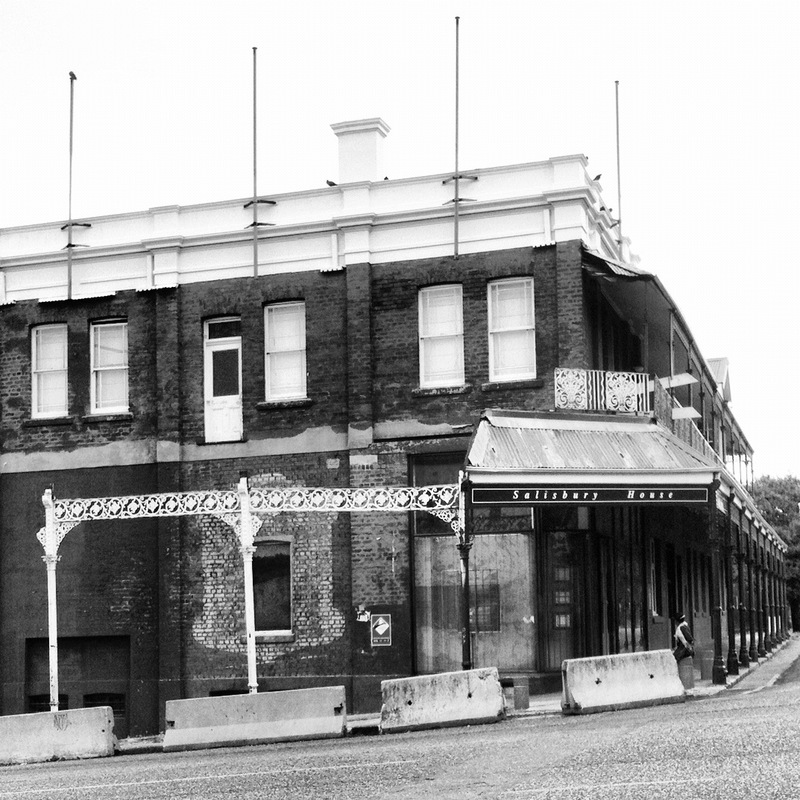 In 1962 we moved to a house in Berg Street, next to Salisbury House, and from there to Browning street in 1966. I have photographs of my mother taken in Main Street, with the old buildings in the background when she was seven years old. Thanks for sharing these images of a past era. I am pleased to have found your site! Just two corrections. 1. John Francis Beardwood was Irish. His mistaken American connection is linked to his stay in California for a few months before coming to Johannesburg in 1895. 2. He named his house in Belgravia, Rathmines, after the Dublin suburb in which he and his family lived. Thanks for including this little bit of history in your website. Thank you for a fascinating glimpse into the past. I lived in Fairview when we first came to South Africa, in about 1954. Please consider doing an article on the various parks in and around Johannesburg. Rhodes Park in Kensington has a very interesting history, the old restaurant, now in ruins, was the hunting lodge of Cecil John Rhodes. That’s a good idea. I’ve had a few requests for info on parks so will see what I can do in the future. I grew up in Kensington from 79-87 so Rhodes Park was my playground. I know every inch of it (except the sluice tunnels that run underneath that link up with Bruma in the east and run all the way through Bez Valley to Doornfontein in the west which may or may not be connected to the one that runs through Pieter Roos Park down to Parktown Boys and beyond) I haven’t been there for about 10 years and was saddened to see the pictures of the old restaurant. Hi Marc, I see you are a member of my fb group Kensington Kids, please browse through the pics, there are some wonderful old pic of Rhodes Park, as well as recent ones showing the decline, you’re welcome to use them for your intended article. I also grew up in Kensington, also spent many many happy hours in Rhodes Park, it really is sad to see the decline. Many of the KK members are keen to see something done, we are going to try lobbying the powers that be, see whether we can pressure them into doing some improvements. Right now the Park is really such a wasted asset. You may be referring to St. Mary-The-Less? 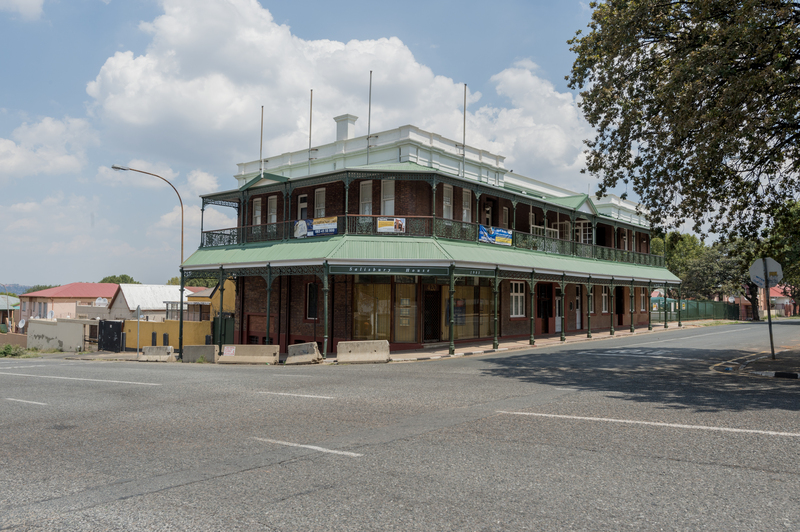 It’s considered the oldest remaining building in JHB and is in pretty good shape. There were some renovations done very recently. There are pictures and it’s history in an earlier Jeppestown post. I was born in 390a Fox Street Fairview on 22nd April 1937. We moved out of our home around 1952. We visited Rhodes Park and the municipal swimming pool there regularly. Murray Park was also a venue for ball games. I started School at Fairview Primary and then passed onto Troyeville Boys’ School up to standard 5 when I passed onto Athlone Boys’ High School in Bezhuidenhout Valley.I used to walk to and from Athlone. The Fire Station was around the corner from our home in Fox Street. I never cease to be amazed at what I find on the internet. Thank you. Wow how amazing, this brought back memories from when I lived in Belgravia in the 1970’s! Thank you for a very interesting site. It helps to give more life when doing family history. I wonder if any of your readers have any knowledge of Houghton college Johannesburg . My father attended there in the 1930’s. I can’t seem to find anything on it! Thanks Sharon. It’s not one I’ve come across, but I’ll look out for it. At some point I will get to Houghton! Very interesting and informative post. Thank you. I’d like to include some of your images and research on a documentary on Hillbrow that I’m editing as a private YouTube vlogger. How can I go about getting permission to use them on the project? Hi Tracy, please mail me at marc.latilla@gmail.com with a list of the photos and I’ll try and assist.